How did Guinness World Records and Jaguar work together to make headlines? There’s no quicker way to win over an audience than to tell them a really good story. As a brand with a background in publishing, we know a thing or two about that. As any good storyteller knows, for a story to have the desired effect, it has to be a tale worth telling. Not only does it have to be relevant and engaging to the people you’re talking to, but it has to be told in a way that will resonate with them, so they tell your story to their friends. Content marketing is based on the very same premise, and getting your brand’s PR and advertising campaigns noticed needs a powerful story that will get people talking. The problem is, that’s not always easy to find or create, which is where Guinness World Records comes in. When Jaguar decided to launch its new E-Pace compact SUV away from the gaze of a big motor show in July 2017, it wanted to make sure the news had enough impact to gain worldwide attention. 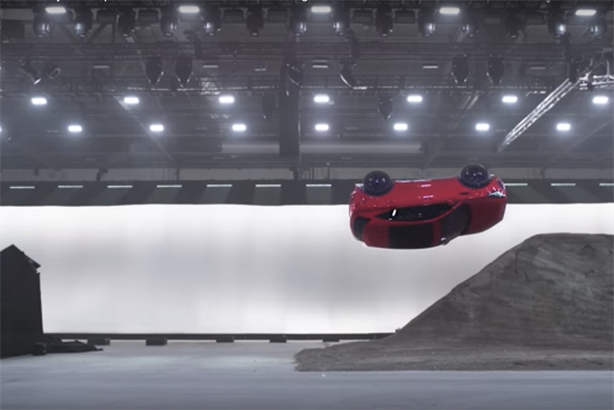 Taking inspiration from the breath-taking stunts of James Bond, Jaguar worked with Guinness World Records to take on the title for 'Farthest barrel roll in a production vehicle'. Its ‘record-breaking’ news hook already made the launch more headline-worthy, but combined with the easily shareable bitesize video content of the stunt in progress, it made sure the E-Pace created a buzz from the get-go. The importance of video content to bring a story to life is something that IBM knows only too well. Its research into the limits of data storage made some outstanding leaps forward into what we know to be possible, but while it gained the scientific recognition it deserved, IBM wanted to spread the word to the mainstream too. The problem was, as a tech-heavy story about atoms and data, trying to find a mainstream hook was far from easy. IBM’s global agency Ogilvy & Mather decided to create a tiny stop-motion film only using atoms as a way to highlight IBM’s findings. Still in need of a news hook to pique mainstream interest, they approached Guinness World Records about creating a record that would help. That record was the Smallest stop-motion film, which gave the movie - "A Boy and his Atom" – much greater impact when it launched with that news hook on YouTube in April 2013, with over 6.5m views to date. Capturing imaginations in this way can really help when trying to tell stories with more nuance, which is something that Intel also managed with the help of an army of drones. Following a period of investment into drone technology, Intel was keen to show off its dominance in the area, as well as dispel some bubbling public perception that drones were dangerous. To do this, it teamed up with Guinness World Records and arts and technology organisation Ars Electronica Futurelab to create a visual spectacle that would be a celebration of all things drone. The result was 25 drone operators controlling 100 drones, all performing carefully planned 3D airborne choreography to a live orchestra. Not only did it look great, and broke the record for the Most unmanned aerial vehicles airborne simultaneously, it pushed a positive story about drones and Intel’s role in their development to the mainstream media, reaching a combined readership of 112 million people. It’s clear that considering the visuals side of your storytelling is a sure-fire way to inspire more people to engage and interact with your brand’s story. Add in a hint of jeopardy to that mix, and you’ve got hugely shareable content that will push your brand’s campaign even further. A celebrity or two doesn’t hurt either. Betfair did this with its Ultimate Cash Out Control challenge. It enlisted the help of four Arsenal football players to take on the record for the Highest altitude football dropped and controlled. Unlike other records that can be created especially for a campaign, this was an activity that had to be attempted on the day with an adjudicator, with no guarantee as to whether it would be successful or not. When it was, the genuine reactions from the players only helped to increase the video’s appeal and shareability, garnering an overwhelmingly positive reaction and over 2.5 million views worldwide. It’s clear that using the tools of storytelling carefully is key to ensuring that your brand’s content marketing campaign performs to the best of its abilities, with a focus on a strong narrative and great visuals that shouldn’t be overlooked. With the widespread sharing of online videos and the consumption of bitesize content on the go, it’s important that you consider if your story can incorporate an element of both these things to maximise the reach and impact of your message. Add a bit of "will-they-won’t-they", and you’ll only engage your audience even more.